TL;DR — I ran a tech company for 7 years, made a bunch of seemingly unrelated pivots (including working with President Obama *kinda* and NFL legends such as Charles Woodson *truly*), went to Africa with Microsoft & Chevrolet, and am re-launching the business together with 9+ other companies all at once, all within 2 months. Today we are re-launching INSILICO, a health tech company turned venture development firm. Below you can find the letter I wrote describing the how and why of this company restructuring. But really, I want to take this opportunity to stop and reflect on what an amazing 7 years it has been running a tech company, the challenges along the way, and share some of the adventures we’ve had. So if you’re curious about my own personal take on what it takes to run a tech company, or any company for that matter, take a look at how we got our origins and see the journey that has taken us to this point. We started INSILICO almost 7 years ago. Back then, our mission was solely to develop cutting edge applications to help diagnose and treat autism. We did that, with the help of an amazing group of people and the Henry Ford Health System. And we still continue that mission today with the Autism Alliance of Michigan and FRIDAY Healthcare. But since then, we’ve branched out into many seemingly unrelated areas. We’ve developed augmented reality applications for President Obama and NFL legends alike. 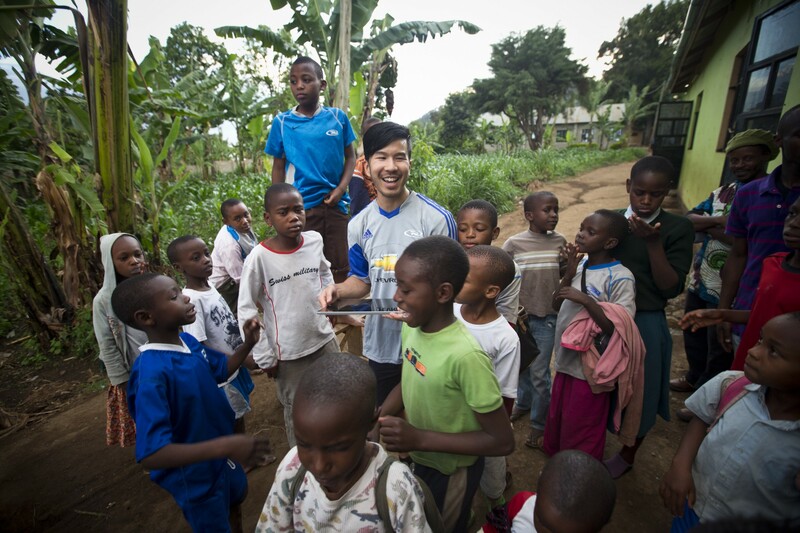 We’ve gone all over the world to find out how to use technology to help orphans in Africa with Microsoft and Chevrolet. And we’ve even dabbled into innovating ice cream. And through all of this, we’ve observed one continuous thread: everyone needs innovation, and few people know how to do it. Our work with first time entrepreneurs to Fortune 500 companies has shown us that there is a huge learning curve in terms of bringing new technologies, processes, campaigns, and things in general into reality. Even for, and sometimes especially, veteran organizations. So we’ve refocused, taken what we’re good at, and are using our talents to help these organizations and individuals bring their concepts into reality. We’re delivering “innovation as a service”. And we believe that it is a science as much as it is an art. By focusing on three fundamental areas of design, engineering, and strategy, we bring forth the mythical notion of “innovation” in an easy to understand and objective format. Our goal is to help people execute exceptionally well in each of those respective categories by partnering with them and providing in-house development, consultation, and more. To manifest their ideas into successful, sustainable, and ultimately profitable endeavors. All while maintaining a focus on leaving a lasting positive impact in the universe. For those of you who don’t know, INSILICO, started off as a health tech company to build applications to better diagnose and treat autism. I was inspired by the charity work I had done with families affected by autism when I was just starting college. While attending the University of Michigan, I originally planned on becoming a doctor. But, my passion for business and technology pushed me to see how I could affect even more lives outside of medicine. That’s when I changed my major, dropped medicine, and decided to become an entrepreneur. Conventional wisdom says avoid distractions and stay laser focused. True for your business, false for self growth and adventure. Here’s a montage of a few other projects we worked on aside from applications in the autism space, and where our company went in those 7 years. Conventional wisdom says avoid distractions and stay laser focused. True for your business, false for self growth and adventure. Maybe our company would be different had we followed conventional wisdom, but damn was it a fun ride. As you can see, where you start and where you end up will most likely be vastly different than what you expect. Challenges, hardships, growth, and change are just a few of the things you’ll encounter. And if you’re lucky, you’ll still be in business 7 years later, but with much more experience and knowledge. We’re taking that experience and knowledge and helping others build ventures through the re-launch of INSILICO. But we’re also focused on our own internal companies as well. Check out www.madeinsilico.com to see what we’re about! All videos were filmed by our good friend Ryan Doyle of Video Vision 360, you should check him out here.